Problem: Get people to think about insurance. 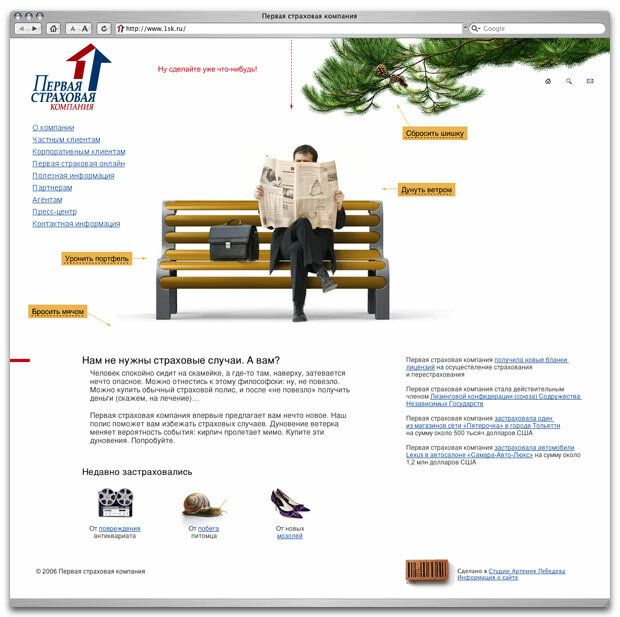 Established in 2005, First Insurance Company has offices and agencies in 13 largest Russian cities. The importance of being insured is underlined by the imitations of accidents hidden among the site sections and damaging the cursor.